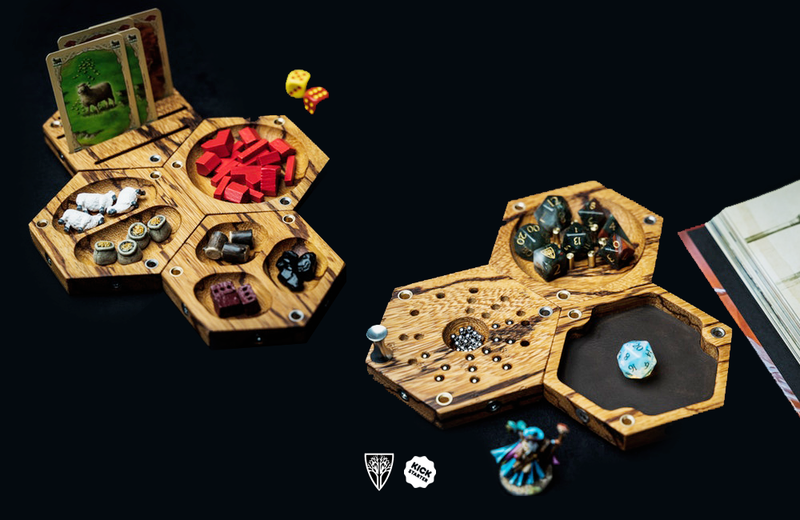 Say goodbye to clutter on game nights with Wyrmwood Gaming’s stackable, magnetic, modular wooden tile system. Wyrmwood Gaming solves one of the most annoying problems of tabletop and role-play gamers: a disorganized gaming surface. Crafted from premium hardwoods, Wyrmwood is a flexible system to organize cards, dice, coins, chits, and the like. There are seven tile styles in total: card, solo, duo, trio, rolling, the tile of shame, and caster. Gamers can make the system their own with custom combinations. Tiles start at $19 USD each. Wyrmwood Gaming set a Kickstarter campaign goal of $13,009 USD. With over $475,000 USD in pledges, gamers have signalled their approval of this innovative approach to level-up game night. The company plans to release the tabletop tile system in late 2019. Here's a fantastic gift idea for pop-culture buffs with a rustic aesthetic, from the Rustic Pop Culture Etsy store. In time for the Star Trek franchise’s 50th anniversary, The Wand Company has released a fully-functional, Bluetooth-enabled replica of the iconic Communicator.